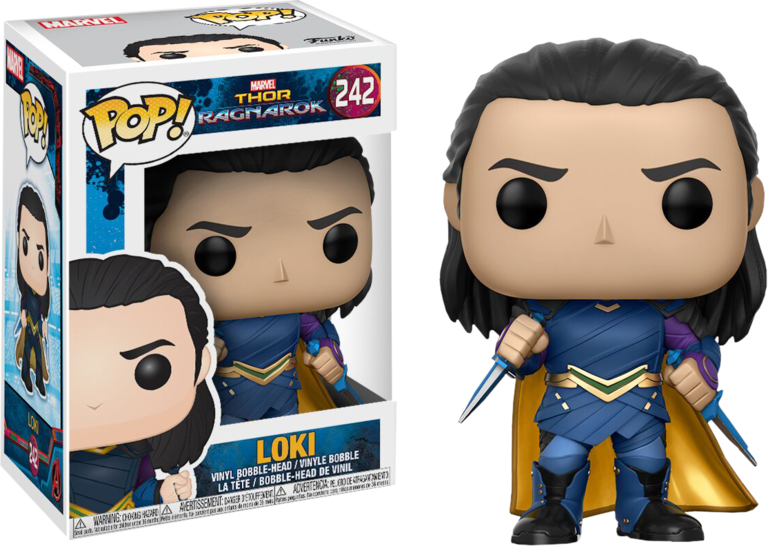 To celebrate the upcoming third installment in Marvel’s Thor film franchise, Funko have announced their new wave of Thor: Ragnarok Pop! Vinyl Figures! After the events of Avengers: Age of Ultron, Thor, held captive on the planet Sakaar without his hammer, must win a gladiatorial duel against an old friend the Hulk, in order to return to Asgard in time to stop the villainous Hela and the impending Ragnarök, the doom of the Asgardian civilization! This Pop! Vinyl features Thor’s adoptive brother and nemesis, Loki in his blue suit holding the dagger of Loki.